I've just started writing next terms Maya API lectures and decided it would be a good idea to use Qt Creator as the ide for development as it's our main IDE. It also has the advantage of automatically creating the make file required for the projects and helping to make multi platform builds easier to manage. qmake and Qt Creator both use the .pro file for the projects. In this case I'm going to create builds for both Linux 64bit and Mac OSX. qmake uses the pre-fix values linux-g+-64 for all flags relating to linux 64 bit and macx for Mac OSX. The following .pro file shows how this is done. There are several sections to the .pro file above, mainly these are to make it easier to add to the project when needed. The two main distinctions between the linux and the Mac OSX version are how the plugin should be generated. Under linux the plugin is a normal shared object file (.so), however the mac version requires a bundle. To do this the -bundle flag is used and we also need to ensure that the extension .bundle is added to the Target. Finally we need to add some defines to the build, depending upon the platform we need to either use -DOSMac_ or -Dlinux as well as the two flags REQUIRE_IOSTREAM which includes the correct iostream library for using std::cout and _BOOL to re-define bool. 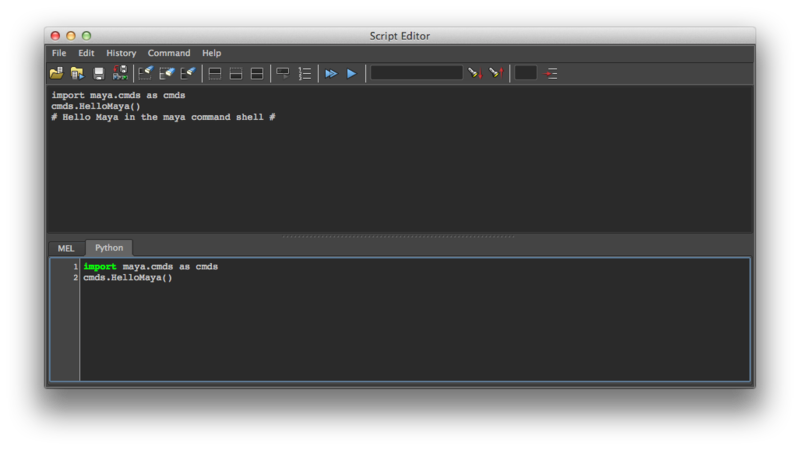 The following test program will send a message to both the shell maya was run from and the maya command window. 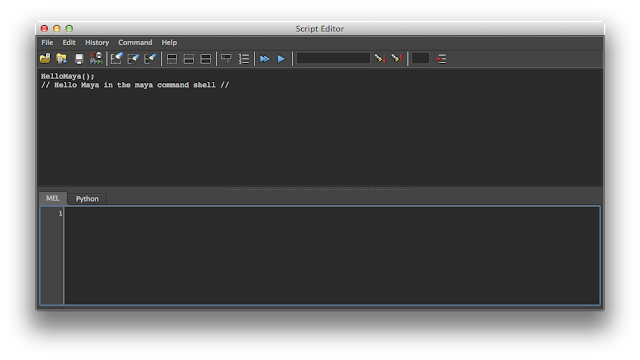 And for the python version we need to import the maya.cmds module first. And that is about it, now I've got to read the rest of the book, but at least it makes the coding easier! Got asked how to enable multi-sampling in my demos the other day, and realised that I hadn't shared this information in any of my lectures so I thought I would write it up here. 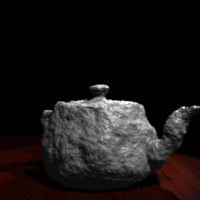 OpenGL has a number of extensions which allow a number of different rendering features to be enabled. For example we can do stereo, accumulation multisampling and much more. In Qt we do this by using the QGLFormat class and we can enable it for a specific QGLWidget, or for all widgets we create. For this example I will generate a default format and then create a widget to use the format. This code would be put in main.cpp in my demos (will update them soon) before the creation of the MainWindow class. This method can also be used to enable things such as the new OpenGL core profile (under linux and windows for Qt 4.7 and with Qt 4.8 this will also work on the mac eventually, as long as you have Lion). You should be able to see from the documentation all the other features which can be enabled in this way.